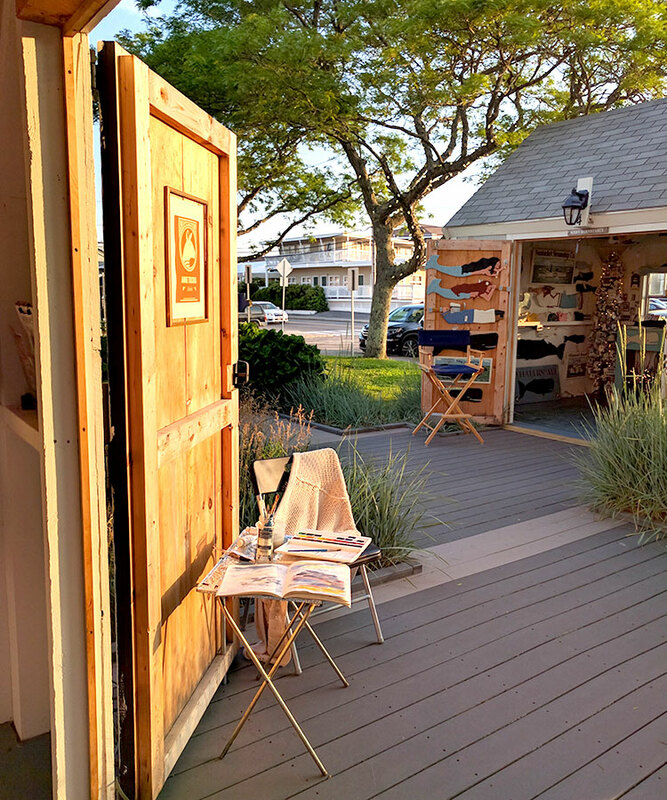 Artists applying must be a Cape Cod resident spending at least six months a year with the Cape as their primary residence. Work must be original handmade or hand-crafted. Multiple artists may share a shanty but they all must separately apply and be accepted. Please indicate this on your application. If you would like to share but don’t have someone to share with indicate this on the application and we will see if there are other artists willing to share their week. Artists sharing the shanties shall coordinate payments and submit ONE check as deposit and ONE as balance due. Applications are available here. Each season, applications are received on a rolling basis until all spots are filled. With this rolling process, there is a first review/consideration date for all applications received by the fourth Friday in October each year. Artists who apply by this date will be in the first round of placements if juried into the program After the first review date, the rolling application & jury process continues for all remaining openings until filled. If artists are accepted but all spots are filled they will be placed on a waiting list. Each year is a new year; prior participation does not mean automatic acceptance into the program. Amount of time allotted for each artist varies from year to year. Each artist’s application is reviewed by a jury in order to ensure the quality and variety of work offered. In some cases artists are asked to come in person to present their work to the review committee. Once accepted into the program, any items not approved during the jury process must be approved by the Town of Barnstable’s Arts and Culture Coordinator prior to selling in the shanty. Artists must complete an application and be juried/accepted into the program on a yearly basis. $50.00 (refundable) security deposit check due with signed contract. This is in addition to your rental fee check. This deposit check will be voided at the end of the season if shanty is left ‘nail free’ and clean and keys and parking passes are returned. All artists are required to carry commercial general liability insurance. You must submit a Certificate of Insurance naming Town of Barnstable as an additional insured due with your signed contract. There are many reasonably priced options for artists participating in venues such as the shanties and other festivals and fairs as stand-alone short-term policy, or as a rider on your homeowners or business owners insurance. Artists frequently come in early and stay later. 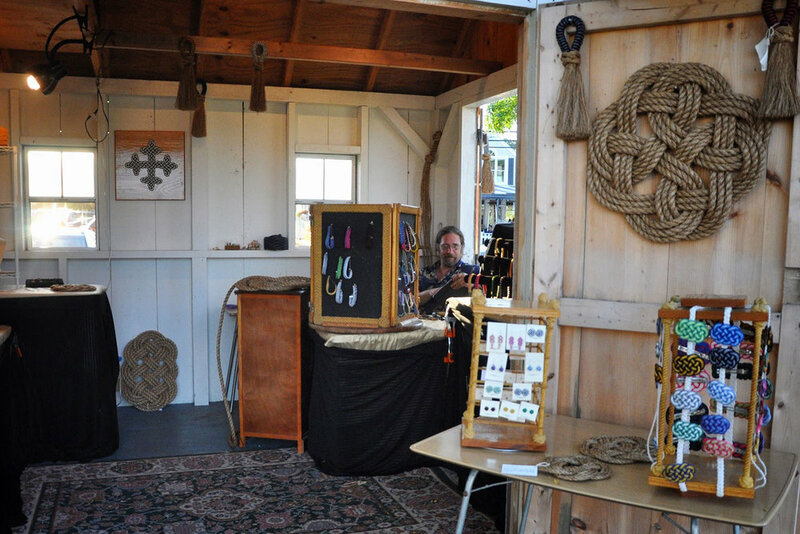 Town of Barnstable's Arts and Culture Coordinator will send information to participating artists on everything needed for a successful shanty stay from how to unlock the shanty doors to shanty sales and marketing advice. Every accepted artist is emailed information before the season starts and is required to attend a mandatory meeting in the spring to answer any further questions and visit the shanties to take pictures and measurements.